Leon Cmielewski and Josephine Starrs are Australian artists whose long term collaboration has produced media art installations situated at the juncture of cinema, information visualisation and sublime landscape. They are passionate about presenting the land and oceans as spectacular living organisms and showing the impact of human intervention on fragile environments. 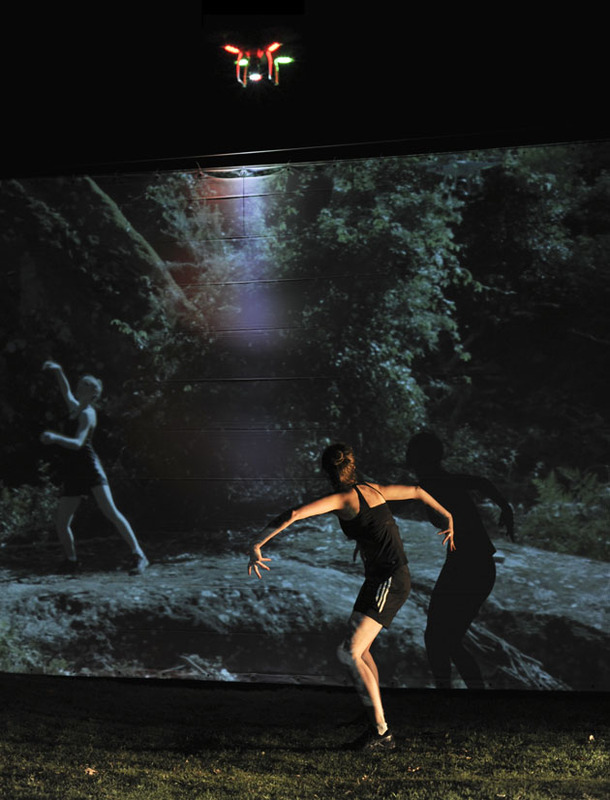 Their immersive audiovisual installation, and the earth sighed, re-imagines the relationship between nature and culture. 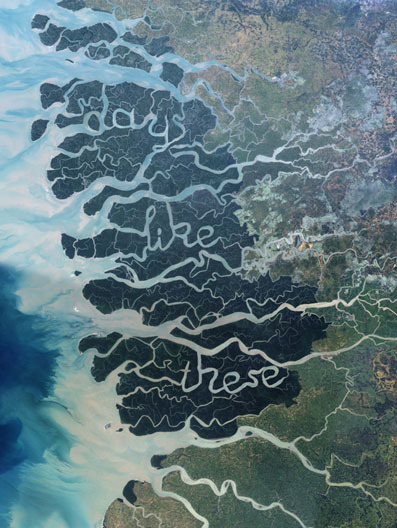 Highly detailed aerial views of Australian landscapes and waterways are dynamically manipulated in ways that reveal their underlying fragility. In their recent work Dancing with Drones Starrs & Cmielewski use a drone to record dancer Alison Plevey’s site-responsive performances in different locations at Bundanon. In response to the persistently intrusive drone, she exhibits a range of different emotions including curiosity, agitation, engagement and resignation. 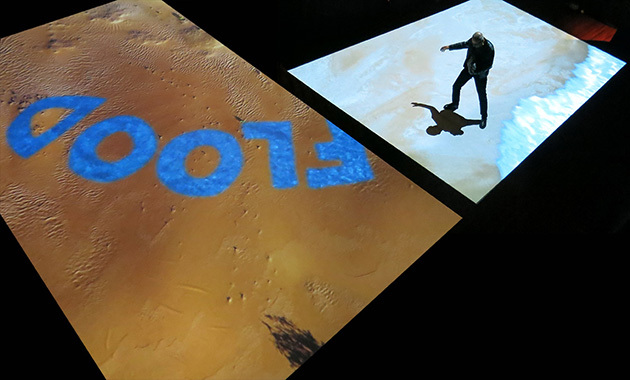 At Siteworks 2014 she performed live at night to both her own video image and the live drone. 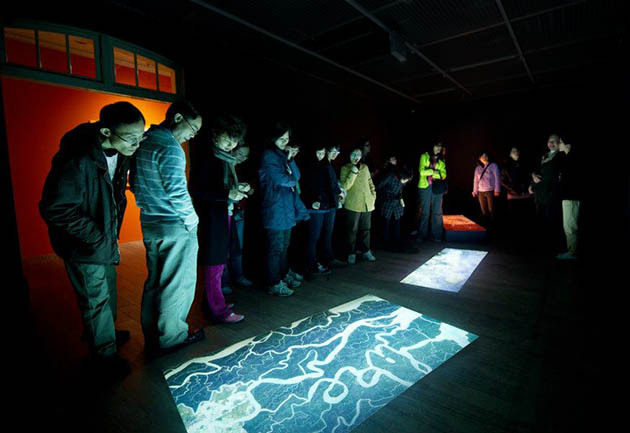 Their installation Incompatible Elements, focusing on landscapes in crisis due to climate change has been been shown several times in Australia and overseas, most recently at the Maldives Pavilion, Venice Biennale 2013. Incompatilbe Elements at Museum of Contemporary Art, Taiwain 2012.
video still: days like these, Incompatible Elements. Starrs & Cmielewski often use play as a strategy for engaging with the social and political contradictions inherent in contemporary life. Their installation, chapel of rubber was created for the Cementa arts festival, in Kandos, in mid-western NSW, February 2013. 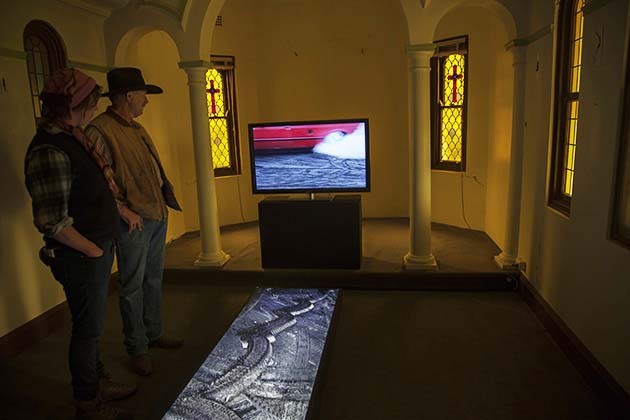 It was installed in the old nunnery chapel as a shrine to the street machine burnouts that take place in Kandos every January on the Australia Day weekend. Chapel of rubber was selected as a finalist in the Blake Prize 2013. Waterways is a video and sound installation commissioned for a group exhibition, Urbanition at Carriageworks, Sydney from August 4th - September 3rd, 2011. The exhibition was a sister city project between Sydney and San Francisco and was shown at the San Francisco Arts Commission Gallery in April-June, 2011. Starrs and Cmielewski’s past projects include Seeker, winner of an Award of Distinction at Ars Electronica 2007 and sms_origins, a mobile phone texting work that was created for the big screen at Federation Square, Melbourne in 2009. Dream Kitchen, is an interactive stop-motion animation that featured at Transmediale, Berlin and the European Media Arts Festival, Osnabruk, Germany, and Trace a hybrid art installation that used sensor technology and performance to explore biometrics, was shown at Sydney Records Centre, 2002. Bio-Tek Kitchen, a modified computer game was exhibited in Experimenta’s House of Tomorrow exhibition, Melbourne in 2003 and the Seoul New Media Biennale, 2004. Leon Cmielewski is a Senior Lecturer at the School of Humanities and Communication Arts, Western Sydney University and Josephine Starrs is Honorary Senior Lecturer at Sydney College of the Arts, University of Sydney. Both artists are past recipients of Australia Council Fellowships.